Fourteen PAC u11s took part in the QuadKids competition, many for the first time. As you will see from the results below, a huge number of PBs were set by them, resulting in a great winning TEAM achievement by the Boys (with five of them in the top six) and three in the top ten of the Girls. A feature of the other age-groups was the excellence of the sprinters in the u15G. Their team in the 4 x 100 won and only 0.5 outside the Club Record! Even better were the new Club Records achieved by u17W Imogen Davis in the Javelin; and by u13G Jaya Collinson in her 200m. See the brilliant number of PBs recorded here! What an encouragement to our athletes for this summer! Multi-eventer Adam Booth competed in the Lee Valley April Open on Saturday, April 6th. He placed 4/5 in the u20M 110H in a windy PB time of 15.11. (This achieves the Senior Boys’ entry standard for the English Schools in July!) Then he ran a new PB when winning Graded Race 3 400m in 52.38. Finally, his Shot was a SB of 9.38m! Southern League Match 1 at Plymouth on Saturday April 13th. U17s and older contact Dave Pearson. 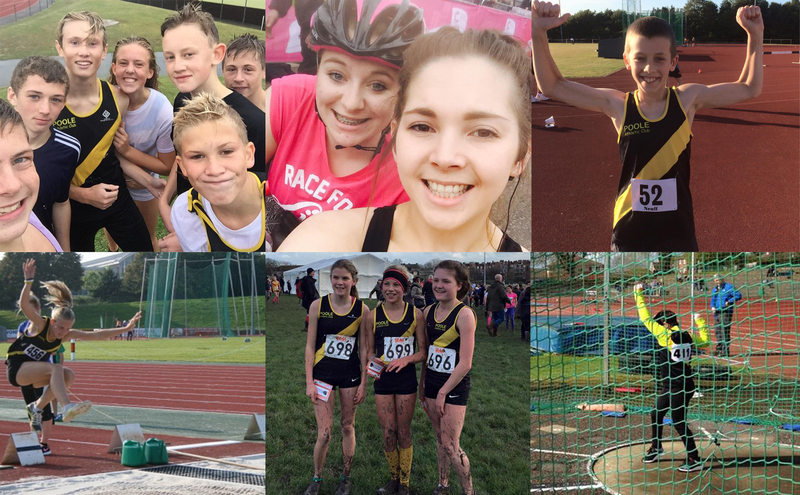 YDL LOWER AGE-GROUP Match 1 at Walton on Saturday April 27th. I will contact by e-mail all u13s and u15s who are selected. YDL UPPER AGE-GROUP Match 1 at Walton on Sunday May 05. U17s and u20s contact Mark Pauley.